On Saturday a week ago, there was a demonstration in front of City Hall to protest against the increasing decline in Rome’s infrastructure. 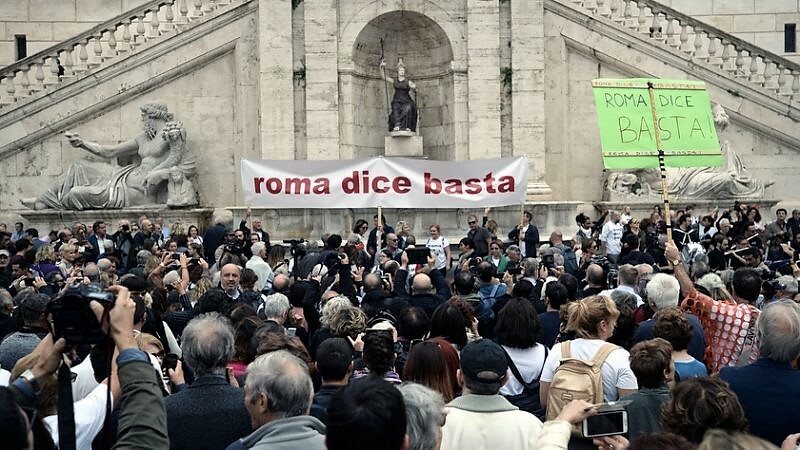 There were reportedly around 10,000 people bearing various slogans critical of the Mayor Virginia Raggi and her Populist party, Le Cinque Stelle, for failing to honour election promises. Garbage continues to pile up around the city. The waste management company AMA, which deals with Rome’s garbage, is apparently controlled by organized crime syndicates. Raggi’s attempt to get rid of them without putting other plans in place, has led to the present state of affairs from what I understand. It’s not only the garbage that’s an issue but also the roads, many of which are full of holes that need to be fixed. The city just cordons them off with orange plastic netting because it can be sued if someone falls and is injured, and nothing is done for months. 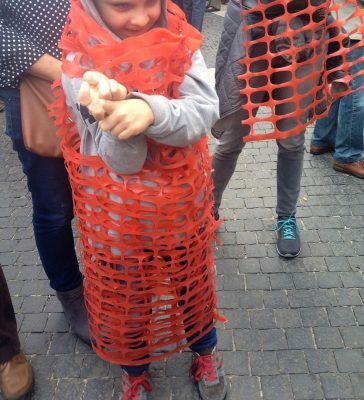 People at the demonstration were walking around wearing the orange netting in protest . The transport system is a disaster and buses have even been going up in flames for lack of maintenance. People have had enough and want change. As if all this wasn’t enough, it has been raining here since last Sunday. 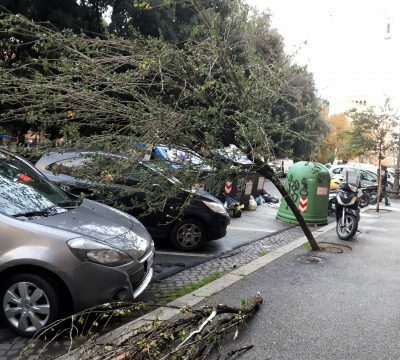 On Monday, several huge trees fell over right in the city centre crushing cars. These were cleared away fairly quickly but there are lots of damaged trees and smaller branches lying around which will probably be left there for some time. We can’t really complain about this because the rain has devastated parts of the north as well as Sicily so we are lucky by comparison. Next weekend, is going to be interesting. The Mayor herself has been accused of abuse of office regarding a controversial appointment in the City Council. Next Saturday, the case comes to trial and she has said that she will resign if found guilty. On Sunday there’s going to be a public referendum to determine if the municipally owned transport company ATAC, which runs the bus and subway system, should continue to be allowed a monopoly, or if competition should be given free rein. Meanwhile, the city totters along as it has always done. As a friend commented in response to my last post, it’s not called the Eternal City for nothing! Let’s hope that things improve soon, if not the infrastructure, at least the weather. 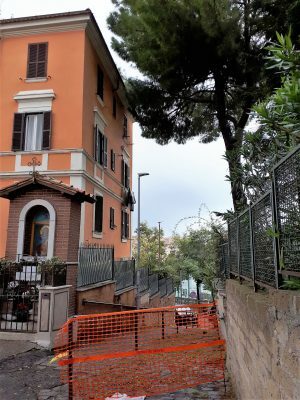 This entry was posted in Living, Rome. Bookmark the permalink.